Welcome to the Real Time Save Generation. Our very best R4 3DS Card ever - And the only true R4 3DS card that can be used on every single console. Right from the newest Nintendo 3DS system down to the Nintendo DSi XL, DSi, Nintendo DS lite and even the original Nintendo DS consoles. 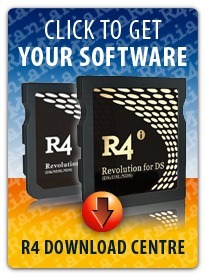 Packed with all of the same standard features and functions of our regular R4 DS cards. Updated On February 1, 2019. Now Supports All 3DS, 2DS, 3DS XL and NEW 3DS consoles up to version 11.9.0 and the DSI XL 1.45 Update thanks to lightning fast firmware updates. Whether you want to play the coolest newest games, or want to go back in time for some awesome retro gaming, the R4 3DS has it all worked out. With thousands of homebrew, games and applications available for you to download and play, you won't run out of things to do. With all of the most popular functions of our other R4 cards, you can play back movies, listen to your mp3 music and even ready eBooks and digital comics. The R4 will turn your Nintendo 3DS or Nintendo DSi / DS lite into one of the absolute best portable multimedia centres you could ever want. Movies and TV shows look and sound great on the 3DS, DSi and DS Lite - and now you can add this functionality that should have been there in the first place. Once you're done watching your movies or listening to your music, you may want to play some of your old school favorite classic games. There are freeware/homebrew emulators available for virtually any console you could think of - certainly all of the popular game systems and computers of yesterday. Everything from the ZX Spectrum and the Commodore 64, right up to the NES, Super NES, NeoGeo and dozens of others. Your 3DS will be like own personal retro handheld game system. Playback and relive all of the fun of your old classic games, right on the Nintendo 3DS. When you're not taking a trip back in time with those amazing classic games, you can get access to thousands upon thousands of homebrew games and applications on your Nintendo 3DS. They are all online, available for you to download absolutely free of charge - taking your 3DS to a whole new level. 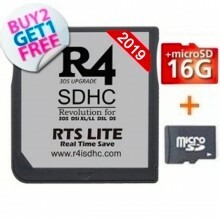 Get on Facebook, update twitter, and a whole bunch more, all thanks to this little R4 3DS Card. With the included 8GB micro SDHC Card, you won't run out of space and have plenty of room for all of your games and applications. Our customers tell us that they can't image their console without this card. The R4 3DS is ready to power up your handheld. 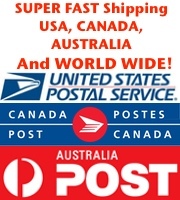 Works on all Nintendo DS, Nintendo DSi, Nintendo DSi XL and Nintendo 3DS Systems worldwide! One card for any handheld console! Listen to your entire MP3 Music Collection, right on your 3DS consoles. Enhanced user interface and super fast kernel updates! Only from the official R4 3DS Store. Check out thousands of free digital comic books - all at your fingertips. Connect to Facebook, Twitter and other social media sites with freeware applications you can download today! Play remakes of old classic games. Download and play any one of thousands of homebrew games and applications - all free for your R4 3DS and Nintendo systems! FREE lifetime kernel/firmware updates! Your card will never be outdated! We support all of our customers with free lifetime updates and upgrades! Lifetime Supper For Free Kernel Updates And Guarantee! 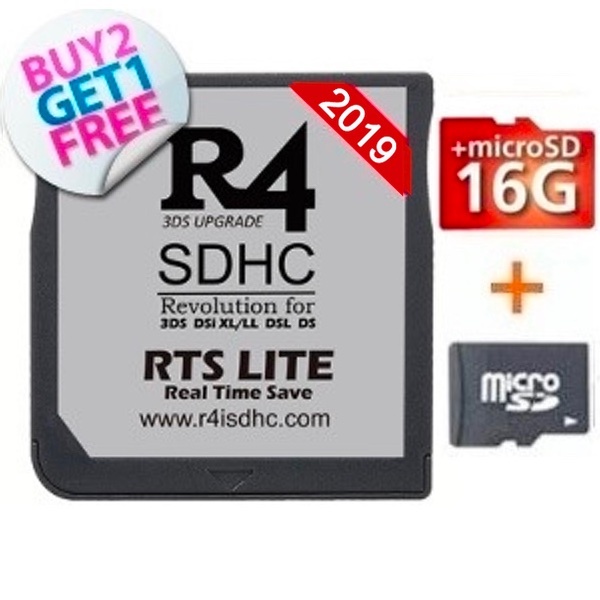 Click the button below to add the R4 3DS RTS 16GB to your wish list.